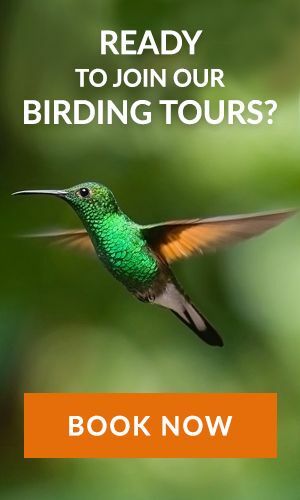 Explore the prime Costa Rica birding ecosystems during your vacations. Discover hundreds of bird species. The country offers some significant bird species such as Jabiru, Scarlet Macaw, Toucans, Sunbittern, Great Green Macaw, Resplendent Quetzal and many more for the enthusiastic birders. It is the most significant ecosystem that covers the entire lowlands and all the foothills of the eastern mountains. The humid rainforests envelop the whole region. These lowlands offer some of the best birding spots in Costa Rica. The main attraction here includes several pristine beaches, lush rainforests with abundant of opportunity to explore some vibrant bird species. Nature walk in these regions can be exhilarating. In fact, night walk around the nocturnal birds gives you an experience of the lifetime. It is an extremely attractive tourist destination and nesting site for almost 50% of the birds and reptiles of the country. Nature trails in the national park provide excellent opportunities for birding as well as viewing the wildlife. Forests, swamps, and wetlands make it a perfect place for many species for nesting in the area. This is also the home for the rare roseate spoonbill that sporadically appears in front of travelers. Besides, you also get a glimpse of herons and grebes occasionally in the area. The number three in our Costa Rica birding places list is the Sarapiqui Eco-Observatory. The location of this observatory is in the north-central town of La Virgin in Costa Rica. It has more than 200 bird species. It is a place where birders can keep the record of every brilliant species that they witnessed. Exciting visitors can enjoy various activities of birds like golden hooded tanagers and broad-billed motmots that cannot resist the feeders. It is a small town in Costa Rica in the remote mountains in the southern part of the country. This region is not very popular. It is positioned in a valley enclosed by Talamanca Mountains. Though the village is small, it has wide-range of birds like the hummingbird and Resplendent Quetzal. San Gerardo is gaining popularity these days for rendering the exclusive bird watching experiences. There are very few lodges, making this site a perfect escape for travelers who want a peaceful stay. Spot-crowned Woodcreeper, Acorn Woodpecker, Sooty Robin are some of the amazing bird species that you can watch here. This is Costa Rica’s one of the smallest National Parks. Despite its size, it has a stretch of beaches. Its lowland rainforests are also easily accessible. There are over 350 bird species including five species of kingfishers only. You can also find brilliantly colored and vibrant birds such as chestnut mandible toucans and Fiery-billed aracaris. Last but not least in our Costa Rica Birding lists is the beautiful Corcovado National Park. This reserve is situated in the southwestern zone of Costa Rica. There are several astonishing diversified ecosystems. With the montane rainforests, lowlands, swamps and beautiful beaches, it is believed to be one of the planet’s most biologically intense regions. There are high chances of spotting countries most endangered bird and animal species. Harpy Eagles, Hummingbird and Scarlet Macaws are a common sight amongst 400 species of birds found here. In addition, around 100 species of butterflies fly excitingly to grab the attention of the visitors here. We hope the knowledge we shared above will be helpful to you while planning a birding trip to Costa Rica. For more details, you can contact us.